This show continues to craft entertaining and fascinating stories in zombie-occupied Seattle, but the ratings fall on the low side. In this current season, the stakes are greater than ever, and Rose McIver tackling at least two characters an episode is a sight to behold. This was the little show that could, with its original cancellation turning into a second season renewal after three days. The ratings are lower than the first season but the stories being told often highlight marginalized people who often get overlooked in history. The procedural is a staple on television these days, but their take exploring the criminal and not the crime keeps us hooked. However, all of the cast turnover and less than perfect ratings puts them at risk. This Freeform show has departed from its book inspiration and managed to build a world of its own. Even though ratings aren't great, the representation and character exploration offers plenty to its loyal fanbase. Give them another chance! This series has a fanbase, and even though viewership has dropped over time, Marvel is dominating in the box office. That should be reason enough to renew this show. The CBS mystery is a fresh approach to the well-known story of Sherlock Holmes. This loosely-inspired show is worth watching if only for the chemistry of the leads. It may not be dominating the ratings but it is consistently steady. Clearly, there is a loyal fanbase engaging with the content. The CIA thriller had a strong first season but lost itself somewhere along the way. In its third season currently airing, Quantico proves that where it really stands out is with its characters and the bonds they share. Easily one of the most inclusive and hilarious sitcoms on right now, Brooklyn Nine-Nine still struggles to find a consistent audience. But with characters like Rosa coming out as bisexual, and the core group of the show offering undeniable comedic chemistry, it would be a huge loss if this show didn't return. Horror TV shows always seem to struggle with ratings and The Exorcist isn't any different. But with a new family introduced each season combined with the relationship between Marcus and Tomas, this show is too good to pass up. This ABC shows suffers from the occasional ratings drop. 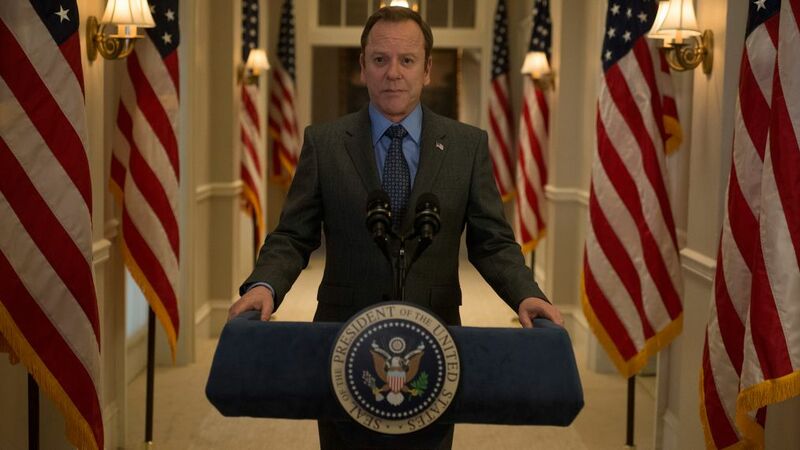 But its refreshing take on a political drama could offer Scandal fans a fix from the recently wrapped show. TV shows gone too soon is a tale as old time, so with renewals being announced every day now, it only makes sense to discuss some of our favorites. Not all of our choices are safe bets for a new season — especially with all of the quality content being created and the limited airtime networks to fill. Ratings always play a big part in which shows are safe and which might be in trouble, but a fierce online following can also help. So now is the time to show your favorite bubble shows, from Elementary to Timeless, the love they deserve! Click through the gallery above for our picks for series that deserve another season.